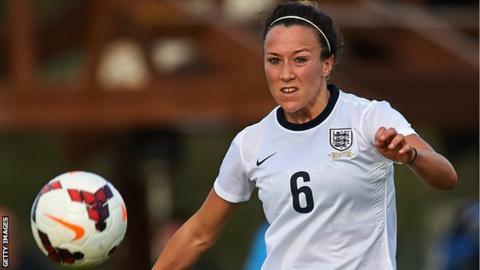 Liverpool and England defender Lucy Bronze, 22, has been named as the Professional Footballers' Association's female player of the year. The young player of the year was her Liverpool team-mate Martha Harris, 19. Bronze helped Liverpool win the FA Women's Super League title last season. Also nominated for the main award were Liverpool pair Natasha Dowie and Nicole Rolser, Arsenal duo Siobhan Chamberlain and Jordan Nobbs, and Seattle Reign's Kim Little. Little, previously of Arsenal, was the first recipient of the award last year. Harris took the young player award ahead of Liverpool team-mate Bronze, Arsenal's Nobbs and Danielle Carter, Manchester City's Isobel Christiansen and Everton's Alex Greenwood. Harris joined Liverpool from Lincoln Ladies, now Notts County Ladies, last December but did not play in the title-winning side.